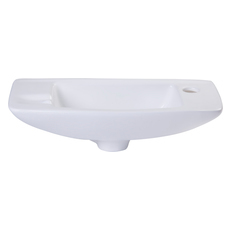 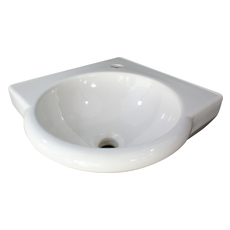 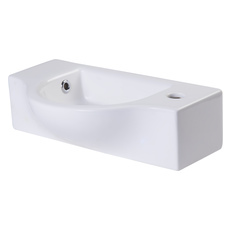 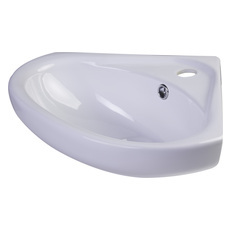 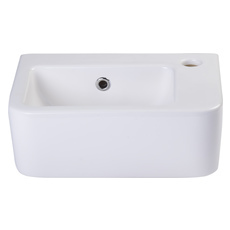 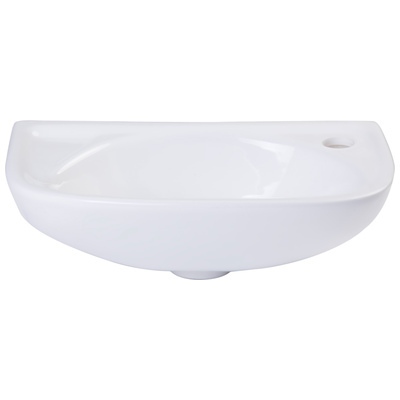 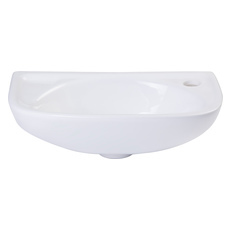 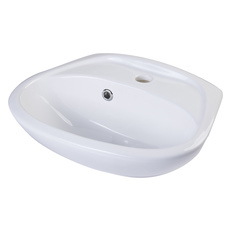 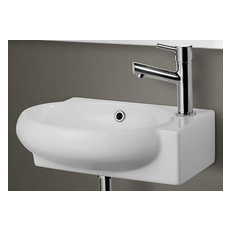 Inner Dimensions 12 1/2" x 7 7/8" x 4 1/2"
A simple small porcelain wall mounted bathroom sink is sometimes harder to find than you might think. 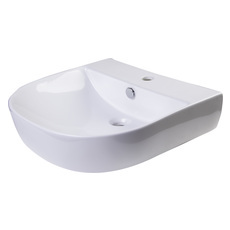 This model has been selling very well due to its small size and convenient shape. 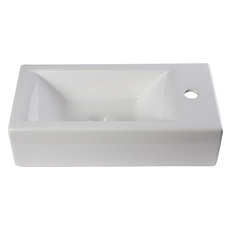 Perfect for those small bathrooms or powder rooms.